Syllabus of the Online Course (Subject): Union of South American Nations (UNASUR): Argentina, Brazil, Bolivia. 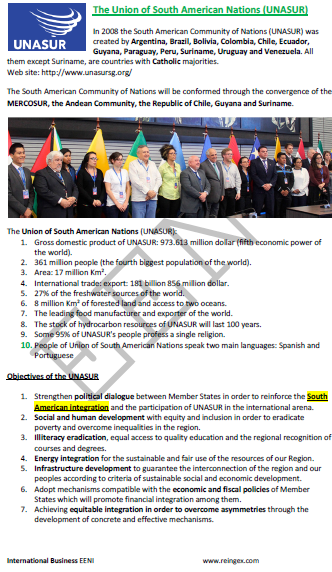 In 2008 the South American Community of Nations (UNASUR) was created by Argentina, Brazil, Bolivia, Colombia, Chile, Ecuador, Guyana, Paraguay, Peru, Suriname, Uruguay, and Venezuela. 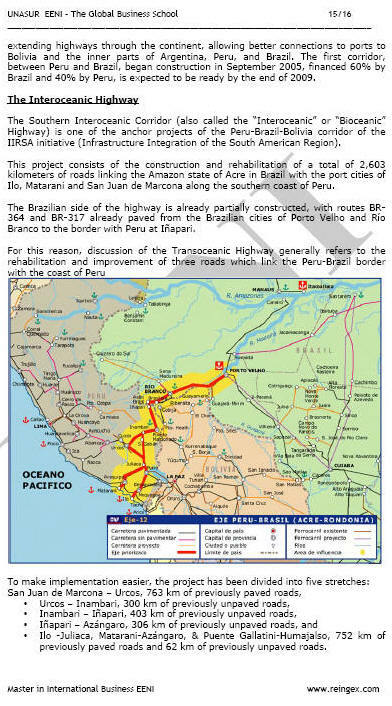 The South American Community of Nations (UNASUR) will be conformed through the convergence of the MERCOSUR, Andean Community, Chile, Guyana, and Suriname. The Union of South American Nations (UNASUR) belongs to Latin American Economic Area (Western Christian Civilisation).